Forget getting around town on a sleigh pulled by reindeers, Santa has booked a flight to Dallas on a private jet. 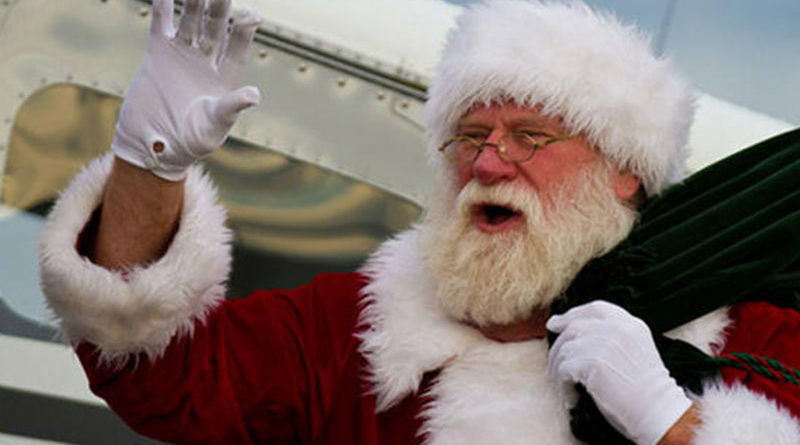 The jolly old fellow will arrive at the Frontiers of Flight Museum, 6911 Lemmon Ave., around 2 p.m. Dec. 16. Tickets are now on sale for Santa Day. The event is free for Frontiers of Flight members and starts at $10 for adults and seniors and $8 for children three and older. Click here to purchase a ticket. The fun starts at 2 p.m. when guests join holiday elves to watch the Museum’s hangar door open as Santa makes his annual debut. Upon his arrival, museum guests can get photos taken with Santa in front of Frontier Flyer. The Frontier Flyer is a hands-on, interactive portable aircraft that helps teach kids of all ages about aviation and flight. One of the afternoon’s most anticipated activities includes following a simulated flight pattern to the North Pole of every planet in our solar system in the amazing Space Portal Odyssey Capsule (SPOC). The SPOC Planetarium is the Museum’s interactive and engaging planetary experience.